The Lima Board of Education passed a resolution calling for the repeal of House Bill 70, The Ohio School Takeover Law. 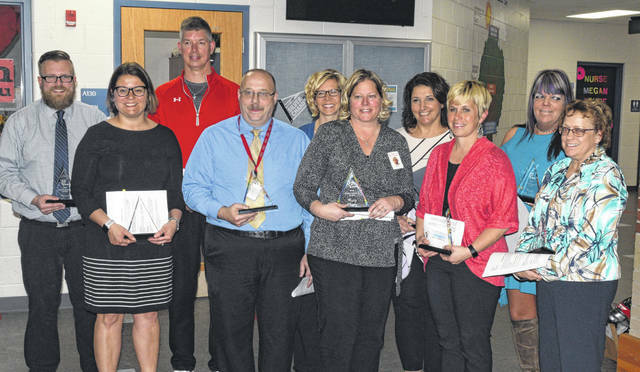 Lima schools honored the Outstanding 11 at Monday’s board meeting. 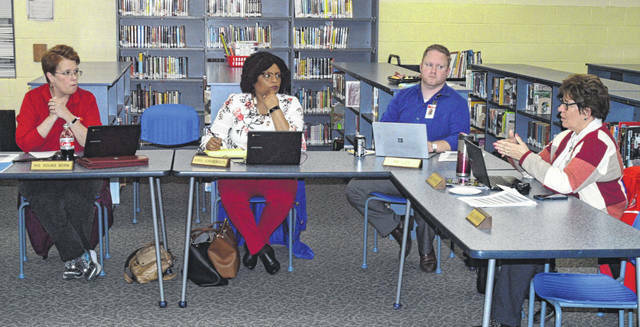 LIMA — The Lima school board passed a resolution at its Monday night meeting, opposing House Bill 70, the Ohio School Takeover Law. The board wants the bill repealed. Several school districts in Ohio have been taken over by the state and the board doesn’t want Lima to be next. The bill was signed into law by former Governor John Kasich in 2015 and it allows the state to take over any school district that receives an overall F on the State Report Card for three consecutive years. Lima received an F in 2018 and wants to avoid a takeover, which could happen in two years. So far, Youngstown, Lorain and East Cleveland schools have been taken over by the state. “The state comes in. The local board of education loses control and there is a CEO appointed to run the school district. The powers of the local board of education, along with teachers unions, goes out the window. We really want to see that repealed and gone,” said Jill Ackerman, superintendent of Lima schools. “We believe that our communities deserve to have local democratic control and it takes away the rights of the people who have voted for the school board members,” said Ackerman. The Elida school board meets Tuesday night and also has a resolution on their agenda opposing House Bill 70. In Columbus, state lawmakers pushing an overhaul of Ohio’s school-funding system say proposals to change how the state takes control of poor-performing districts shouldn’t be part of the budget debate. In other business, the board recognized the Outstanding 11 recipients. “The Outstanding 11 focuses on the work of Ron Clark. He wrote a book called The Excellent 11 and those are actually 11 qualities that an outstanding teacher possesses. Each year the buildings nominate someone from that they feel are people who model outstanding teaching through these 11 characteristics,” said Ackerman. The winners selected this year were Mary Moore from Liberty Arts Magnet School, Leonard Oen from South Science and Technology Magnet School, Tracey Shuttera-Tone from Freedom Elementary School, Kimberly Kirkendall from Heritage Elementary School, Sara Bowsher from Independence Elementary School, Barbara Siefker from Unity Elementary School, Brian Mears from Lima North Middle School, Kristy Nelson from Lima West Middle School, Jason Ware from Lima Senior Alternative School and Kimberly Bader from Lima Senior High School. The Associated Press contributed to this story. Reach Sam Shriver at 567-242-0409.